Warwick (Mass.) 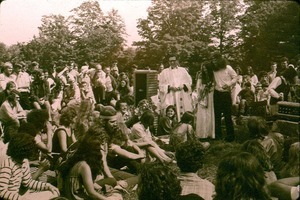 - Sandra and Tom Howes surrounded by the crowd at their outdoor wedding. Leyden (Mass.) 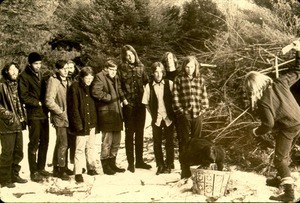 - A photo from the early Brotherhood. Ware (Mass.) 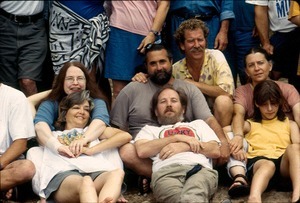 - Former Community members reconnect at reunion. Gill (Mass.) 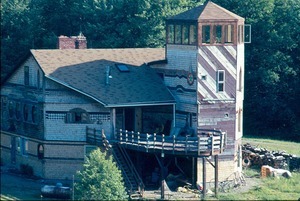 - Deck side of the McCue House with tower. 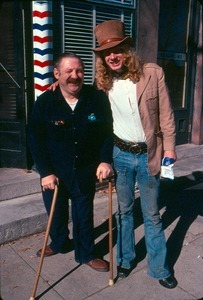 Massachusetts - Metelica, in large brown suede hat, poses with older man using canes. Gill (Mass.) 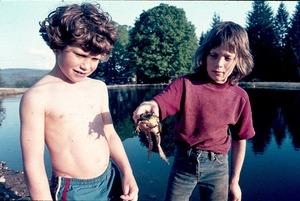 - Two kids and a frog by the edge of a pond. 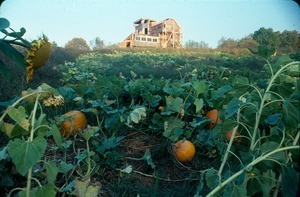 Massachusetts - Sunflowers and pumpkins grow in a field with Michael's house in the back. 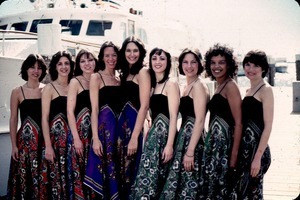 Fort Lauderdale (Florida) - The Choir poses for a group picture by a boat. 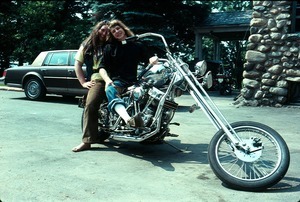 Massachusetts - Metelica and Santos pose on a motorcycle outside the lodge. 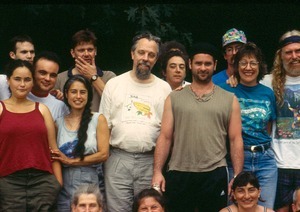 Metelica wears a black shirt, clerical collar and jeans.